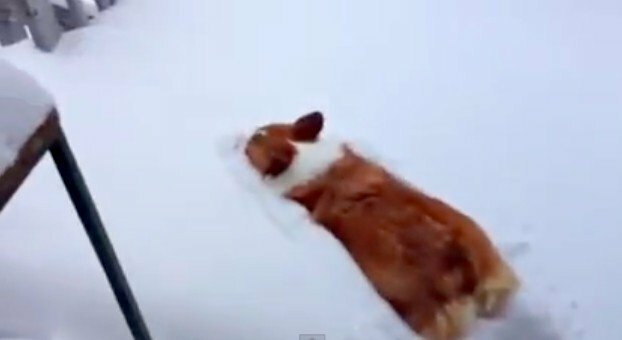 Corgi Flops Adorably Into Snow. But Why? Meri the corgi appears to really like snow. The dog does a belly-first dive into a thick layer of the stuff, and then pauses for a moment, seeming to relish the snowy sensation. We've all watched dogs enjoy playing in the snow, not unlike how we do. But is there more to this spectacle? Any dog experts out there who can give us clarity on what dogs are experiencing when they're playing so joyfully in snow? Respond below, Tweet your answer (reply to @dodo) or Join Us and blog your answer. We'll update this post with your smart responses.